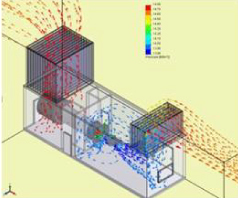 A tec, Inc., utilizes the latest in Computational Fluid Dynamics (CFD) to verify flow disruptions across the total flow field of a jet engine test cell. 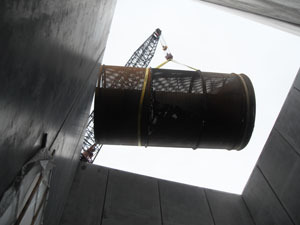 Intake and exhaust efficiencies are key to both internal and external test cell noise. 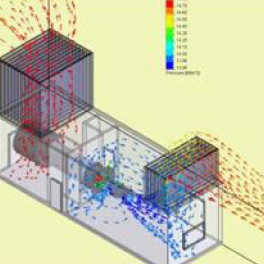 Proper acoustic design and treatments involving the air intake and exhaust augmenter must be considered. 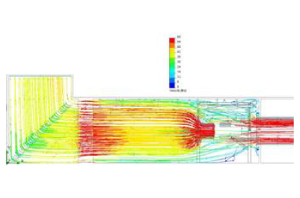 Additionally, non-turbulent intake air is crucial to proper, reliable aeroengine testing. 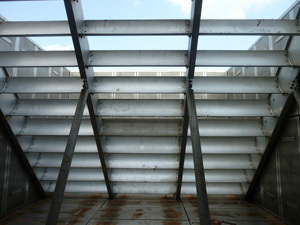 Screens, baffles, vanes, bellmouths and other treatments must be matched to intake design. Our recent redesign of an inlet/exhaust collector/stack system for a 5000-shp engine for the US Navy resulted in a 100 percent improvement in cell flow characteristics, eliminating all recirculation issues in the turbine test cell. 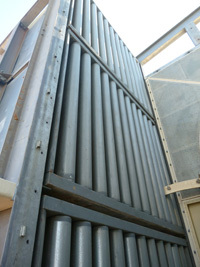 A proper inlet system must be designed in conjunction with the exhaust of the facility to achieve total cell flow with minimal cell depression. Vital Link’s numerous projects with exhaust augmenters, including their patented ESAC acoustic packing system brings premier expertise to our team. Vital Link’s and Atec’s design for scalable super acoustic treatments for the Joint Strike Fighter test cells demonstrates our inlet, exhaust and overall cell airflow & acoustics expertise. 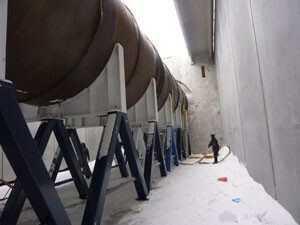 Our combined experience designing jet engine test cell intake and exhaust systems provides us with the expertise to design and install an effective airflow management system for your turbine test facility.